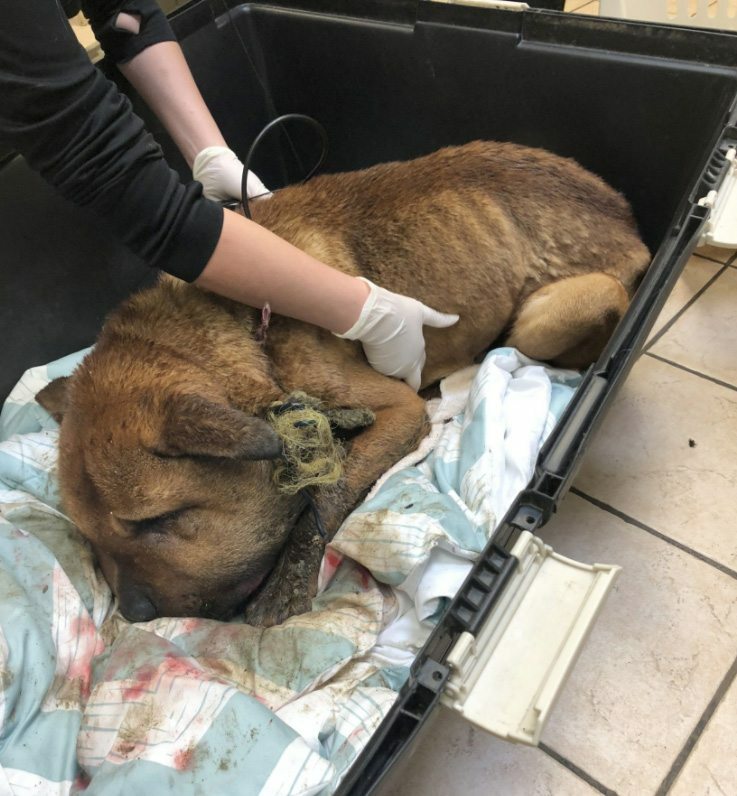 After Anderson Joe and Melissa Tooshley initially pleaded not guilty to animal neglect charges, Tooshley changed her plea to guilty in the first of two court dates. There was a lot of testimony at the Duncan courthouse earlier today from veterinary professionals, including the BC SPCA’s Special Provincial Constable, Matt Affleck, who found Teddy at a property on Lemmo Road in Duncan on February 16, 2018. He said he saw the animal from the road while travelling in the area with his colleague and when he got closer, he noticed a dog that was very skinny, hunched over and unable to lift its head. Affleck continued that the animal smelled of rotting flesh and infection and was tethered with no slack. The animal was forced to lie in its own feces and urine, couldn’t reach a “makeshift” shelter or food and water that were out of his reach. 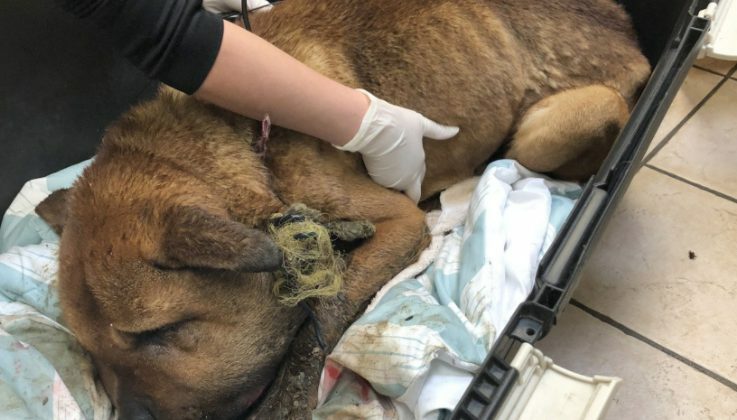 Veterinary Pathologist with the Ministry of Agriculture Doctor Glenna McGregor, who was responsible for determining Teddy’s cause of death said the dog had neck lacerations spanning two centimetres in the back and five centimetres on the front of his neck. She also indicated that the animal’s windpipe was exposed, the jugular veins were clotted and severed and because the veins were blocked, it caused the head to swell to two to three times its normal size. She indicated that the wound on the neck was likely there for 10 to 20 days. The second day of the trial goes Friday, starting at 9:30 am at the Duncan courthouse.